STATE SENATE | 10TH DISTRICT | The primary race for the titillating 10th State Senate District could get even uglier. An independent expenditure committee named, “Californians For Integrity In Government Opposed To Hayashi For Senate 2014, Sponsored By Peace Officers, Nurses, Consumer Attorneys And Labor Organizations” has built up a war chest of over $190,000 in just the last week. The political action committee for the powerful California Nurses Association contributed $25,000 to the committee April 30. The next day the California State Council of Service Employees Political Committee added $90,000. The Consumer Attorneys of California Independent Campaign Committee added $25,000 on May 2, followed by $50,100 on Monday from the Police Officers Research Association of California (PORAC PAC). 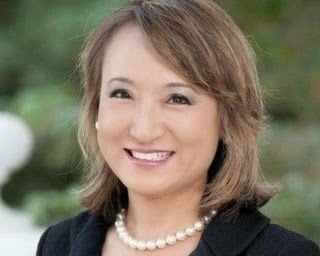 The large and sudden influx of cash may greatly blunt Mary Hayashi’s significant fundraising advantage over Assemblymember Bob Wieckowski, however, independent expenditure groups cannot coordinate their efforts with the candidate. Nevertheless, in the past, IEs have been known to unleash often vicious attacks against opponents, especially when it may not be in the candidate’s best political interests to go negative. Special interests groups dropped over $200,000 in 2012 against 18th Assembly District candidate Joel Young to highlight allegations of domestic violence. The tenor of the state senate race among the two main Democrats is already at a vicious level. Two weeks ago, Wieckowski’s campaign released a Web site called MugShotMary.com. A few days later, Hayashi’s responded with BobProtectedRapists.com, along with a corresponding and hard-hitting 15-second spot. Posted in independent expenditure committees, Joel Young, Mary Hayashi, Morals PAC, SD10, website. Bookmark the permalink. Raj is siding with Bob W and has supported Bob in every election including this one. If he was siding with Torrico, he would be supporting Roman Reed like others Yogi, Dr Japra, Ro, Dutras, etc. Both Bob and Raj will win overwhelmingly in November and you can be assured of that. You have a great strategy…one that has worked very well for you so far…take out all of your supporters until no one is left. Great! Keep it up! Everyone outside of Fremont and even most of those inside Fremont are sick and tired of hearing about the silly little squabble regarding a few people that 99% of the public has never heard about nor cares about. Raj, Yogi, Dr. Japra, and even the washed up Torricos and Dutras. Its like a bunch of idiots hashing out something that happened in high school 15 or 20 years ago. Grow up and move on. You look like fools in a frenzy over who was or wasn't in the cool crowd. Okay. Well said 10:07 am. Well said. There has been a new addition to the http://www.mugshotmary.com site. They have now added in the video from the San Francisco Chronicle interview. One has to wonder in amazement why Mary ever agreed to be interviewed. She had zero chance of getting the endorsement and ONLY a chance of being asked awkward questions. As expected the video is not being used to drill into her false excuses. OMG, she did true damage to her already slim chances. I think its worth looking into whether or not Torricos lobbying firm actually hired his wife, especially after there was an incident involving violence. Is that just a rumor on this blog, or did a reputable Sacramento firm actually hire a woman who attacked a state employee? May 9 10:07 who is this Dr. Japra. 6:34 pm – you may want to ask Raj Salwan who Dr. Japra is, if we are even allowed to mention their names on this blog.